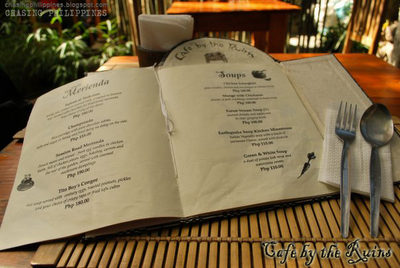 Before our trip to Baguio, I really don't have any idea what Cafe by the Ruins is. 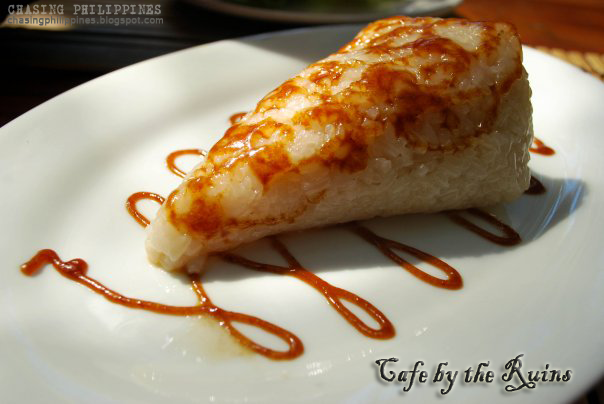 Just thought of including this resto in the itinerary because I saw it on the internet. Just by it's name I really thought it's like another Starbucks, merely a coffee shop (where I'm really never fond of spending my time and money). 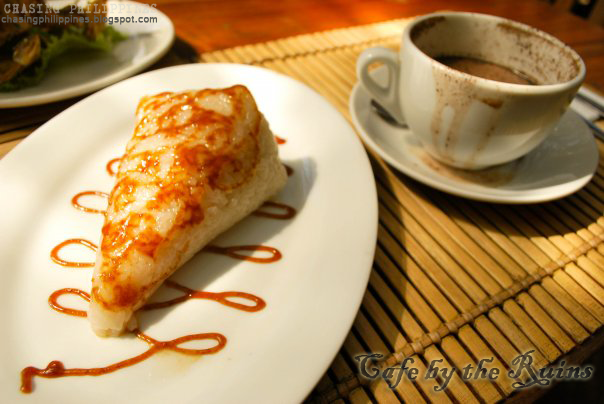 You can see this resto immediately since its along the road, just a few walks from SM Baguio. But uh-uh-uh! I proven myself wrong. The entrance/facade itself piqued my interest and I hurriedly went inside to check out what's cookin. Yes, the ambiance is very inviting. 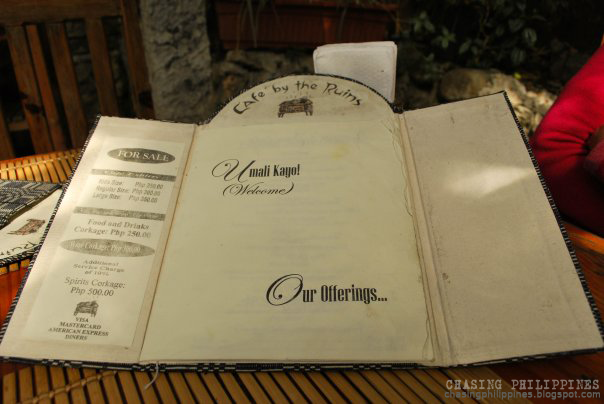 And mind you, this visit turned to be an unforgettable delactable gastronomic experience. The food is really great! 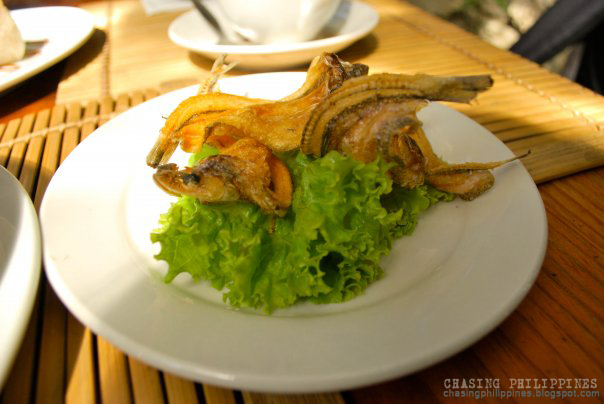 They offer classic Filipino Food. Since, it's already our 2nd breakfast of the day (as of 10am), we just decided to order some snacks that we thought would be light for our tummies. 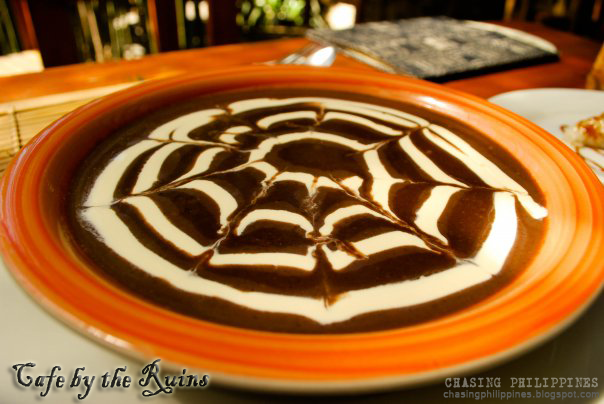 champorado + danggit = perfect! 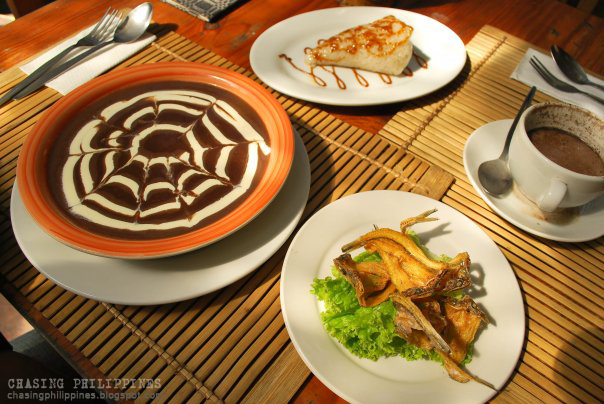 After, satisfying ourselves with their mouth-watering filipino specialties, we indulged ourselves checking the whole place. The small cafe is like a combination of a refreshing garden-slash-a historical hub-slash-arts and photography den. Historical because they said that it used to be the pre-war residence of the governor of Benguet. It's just that the structure was destroyed by the American forces, in pursuit of the Japanese Army. 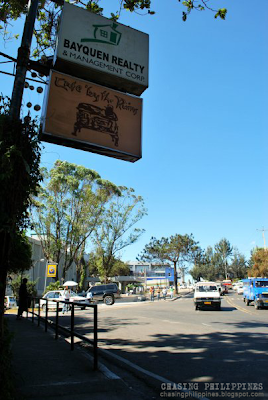 And all that was left behind was a wall which in 1988, the owners of the lot ingeniously built around to be incorporated into the overall theme of the café. It is an arts and photography den. The portraits are really amazing. I noticed that there are some announcements regarding some sort of contests or meet-ups probably, they say the cafe is a hangout for artists who live in Baguio. 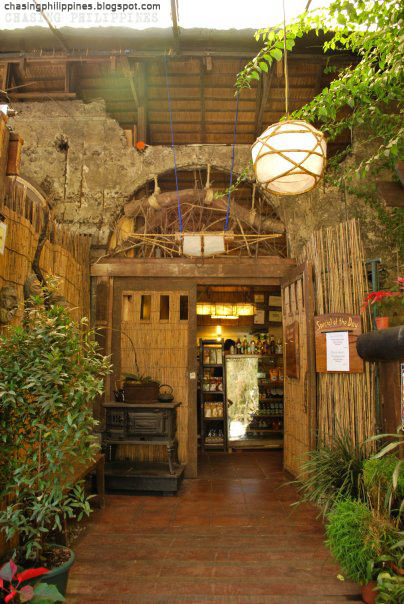 What's amazing is that even most of the restos nowadays are fond of plainly commercializing, Cafe by the Ruins managed to entice customers and to serve as a place that nurtures art and culture at the same time. 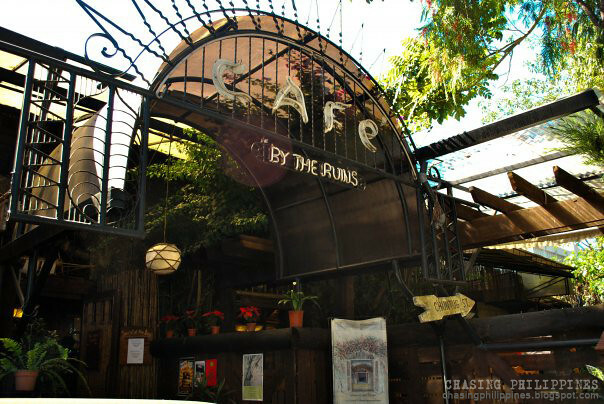 For me, a stay in Baguio will not be complete without a visit in Cafe by the Ruins. 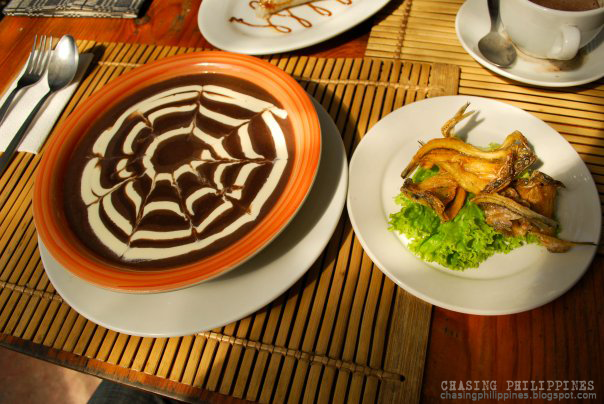 Comfort food in the heart of Baguio City.